Celebrity Apprentice 2015 Spoilers Season 7 Premiere Episode 1: Kenya Moore and Brandi Glanville Fight! After a lengthy hiatus and speculation that the NBC reality TV series had been cancelled, Celebrity Apprentice 2015 spoilers tease that Season 7 Episode 1 will premiere on Sunday January 4 at 9:00 PM ET. After the all new season premiere, the series will take up its regular schedule and air on Monday nights in the 8-10 PM timeslot. Donald Trump will return with his latest crop of celebrities, and a slew of competitions for the teams of celebrities testing their business skills. According to Celebrity Apprentice spoilers, Donald’s children Ivanka, Don Jr., and Eric will all appear in the boardroom, and the late Joan Rivers filmed a few episodes as an advisor before she passed away. Season 7 Celebrity Apprentice spoilers tease that this year Donald Trump will be joined by a mixture of athletes, actors, and reality TV stars. 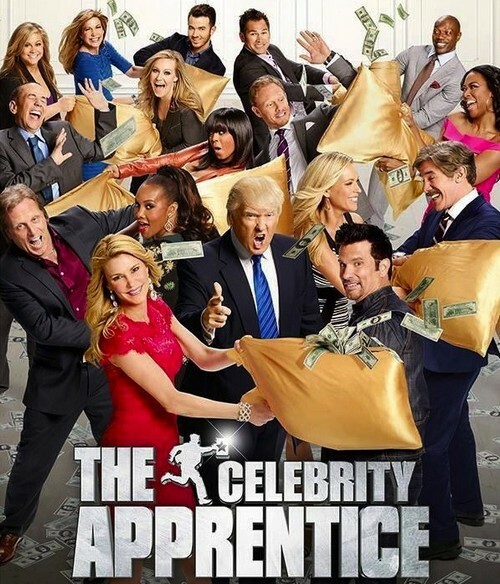 The 2015 Celebrity Apprentice cast includes: Johnny Damon, Gilbert Gottfried, Sig Hansen, Kevin Jonas, Brandi Glanville, Kenya Moore, Kate Gosselin, Lorenzo Lamas, Terrell Owens, Jamie Anderson, Vivica A. Fox, Ian Ziering, Geraldo Rivera, and Leeza Gibbons. The competitions are similar to those of the original series The Apprentice, however the winners of Season 7 will be donating the cash prize they receive to a charity of their choice. Since Season 7 of Celebrity Apprentice was filmed so long ago and shelved by NBC, spoilers have been leaking left and right for months now. According to 2015 spoilers for the NBC reality TV show, viewers can expect to see a major fight go down between The Real Housewives contestants Brandi Glanville and Kenya Moore. Also, ex-reality TV star and mother of eight children Kate Gosselin is rumored to stir up a lot of drama as well. So, will you be tuning in to Season 7 of Celebrity Apprentice? What do you think of the 2015 cast? Which celebrity do you think Donald Trump will crown the winner? Let us know what you think in the comments below and don’t forget to check CDL for all of your Celebrity Apprentice spoilers. Donald Trump Announces All-Star Version of Celebrity Apprentice!